K’Nex 750-Piece Case Building Kit Just $31.39! Down From $75! PLUS FREE Shipping! Here’s another great deal at Amazon! Score this K’Nex 750-Piece Case Building Kit for just $31.39 down from $74.99 PLUS FREE shipping! Build beyond and create wow with the K’NEX imagine 25th anniversary ultimate builder’s case. 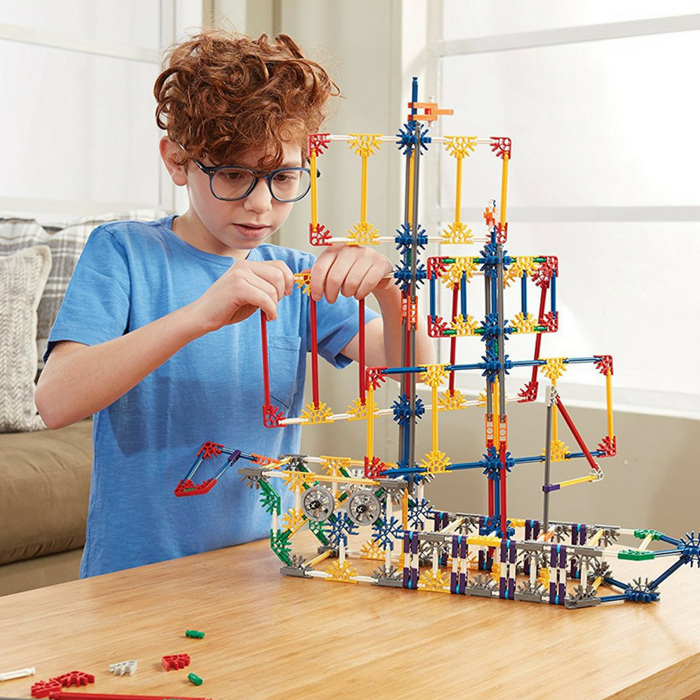 Celebrate 25 years of K’NEX with this classic building set that includes 750 classic scale K’NEX rods and connectors to build anything you can imagine. The enclosed step-by-step color-coded instructions showcases 50 unique models of varying size and difficulty. Builders can chose to create a sailing ship, fire truck, light house, or design whatever they can imagine! This is a fun-learning activity for your kids! Hurry before the deal ends! 750-PIECE PACK – This Ultimate Builder’s Case contains 750 classic pieces in bright colors and with sturdy plastic construction. The package includes many different rods and connectors to let builders create extravagant designs! CREATE 3D CONSTRUCTIONS – Encourage your child to bring his dream design to life by building three-dimensional models. Whether he’s creating a cool vehicle or a pirate ship, this set allows a multitude of 3D configurations. PORTABLE STORAGE CASE – Allow your child to play and learn wherever you are with this building set. It comes with a sturdy case inspired by the design of the original case from the early 1990s. FULL-COLOR INSTRUCTIONS – Encourage your child to build and create with the 25th Anniversary Ultimate Builder’s Case. This set comes with color-coded, easy-to-follow instructions that will teach your child to craft 50 models of varying size and difficulty.